Compulsory Diversity News: PSA: Rules that apply to Trump, do not apply to you. PSA: Rules that apply to Trump, do not apply to you. Compulsory Diversity News would like to remind all citizens of the 'Kwa that the rules that apply to Donald Trump do not apply to the broader public, or even to politicians. Just because Trump can publicly disparage Mexicans without consequences does not mean you can do so as well. 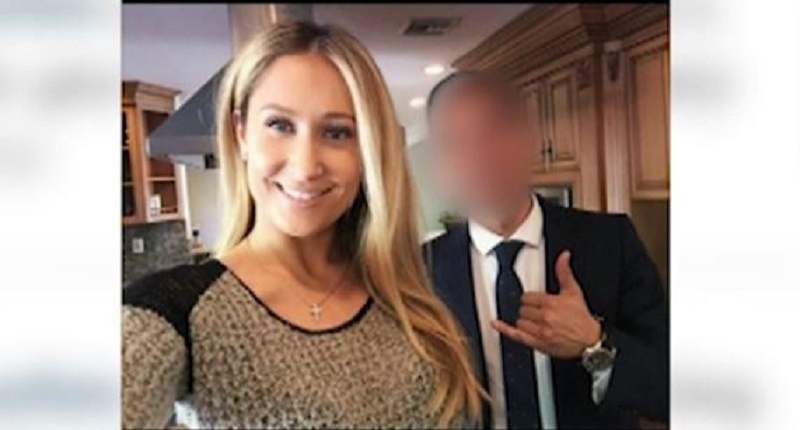 Realtor Lauren Houston, who used the screen name “lolohouston,” made disparaging comments about Mexican people and black people, then said, “Go Trump,” referring to the GOP front runner. Houston had decided to chime in on postings from a social justice group, Black and Brown United for Change. “Get these thugs out of our country… we need a wall… are you kidding!!! Go Trump,” Houston wrote. Her employer, Sam Real, owner of Sam Real Group, wasted no time firing Houston. “At the Sam Real Group, we believe that every individual no matter what their skin color, race or ethnicity is equal in every way,” he said in a statement. Let us be clear, as Obongo would say, Trump is not to be blamed for this woman's downfall. But I feel it is important, in the midst of the mass hysteria, to remind the hysterics that the risk of punishment from un-PC behavior is just as real now as it was before the rise of Trumplingism. He is somebody, you are a nobody, and your worship of him does not make you a somebody, its what makes him a somebody. Politicians have lied for centuries. In this, Trump is certainly not alone. Hillary Clinton, for her part, can tell a heck of an untruth; her husband wasn't so shabby in that arena either. What's new is the rapid-fire, constant nature of the lies, paired with the fact that they're so easily debunked. Traditionally, politicians have at least tried to hide their dishonesty, due to the assumption that voters would care. With the rise of Trump's post-truth campaign, that assumption has been obliterated. No, it hasn't. Trump is not a politician. He is a mega-wealthy reality television celebrity. Suggesting that voters don't care about dishonesty from politicians is dead wrong. They don't care that their saviors lie. That is a key distinction, and it links Trump to the previous Savior in Chief, King Obongo. Obongo is another messianic figure who transcended politics and can do no wrong in the eyes of his worshipers. People clap when he blows his nose. This blind-spot for saviors applies not only to the public excusing lies, but also to excusing crudity. Rubio made the mistake of thinking he could roll around in the gutter trash-talking with Trump and get up as clean as the Donald. The whole world saw Trump stand up from the trash just as teflon as ever, while Rubio was covered in his own reeking offal. Politicians need to know that the rules that apply to Trump and Obongo do not apply to them as well. No one ever listens to Casan-drey. But the warning has to be issued in order for the tragedies to unfold. Mustafa is employed by the MultiKult. As her employers, they obviously feel no pressure to punish her for her antics. Therefore, whose job is it to see that something happens instead of nothing?